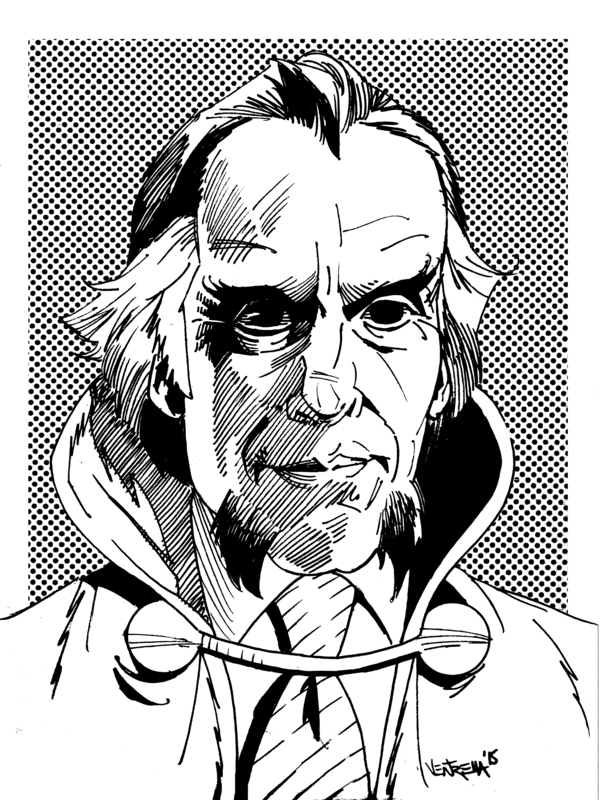 Because You Demanded It: CHRISTOPHER LEE as RA’S AL GHUL! Home » BATMAN'S HOT-LINE » Because You Demanded It: CHRISTOPHER LEE as RA’S AL GHUL! The glory of art is that you don’t need special effects or a big budget or a time machine. All you need is inspiration. 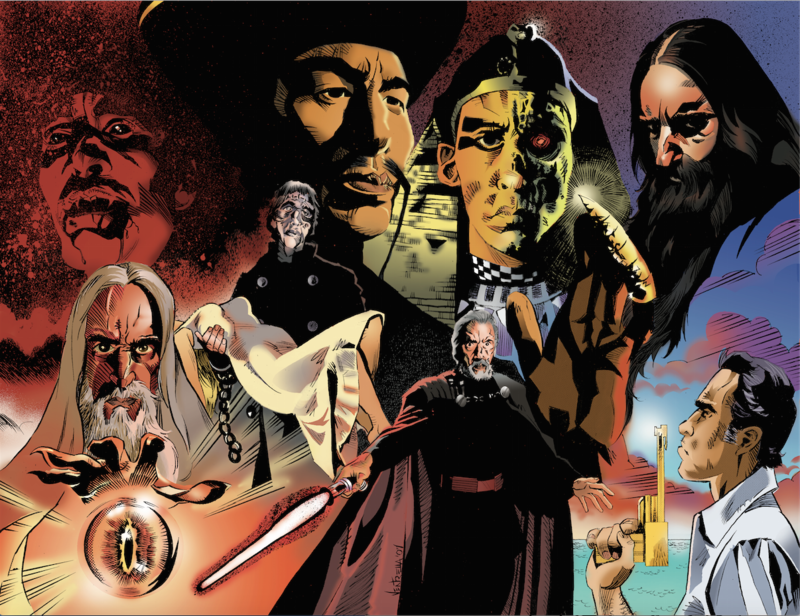 Well I’m honored that artist Renzo Ventrella found inspiration from a column I wrote a few days ago in the wake of Sir Christopher Lee‘s death. I explained how, as a kid, I used to write to DC Comics with casting suggestions for a Batman movie — with Lee as Ra’s al Ghul. The whole thing can be found here, if you’re inclined to check it out. I was really surprised by the warm response, which was pretty moving. Turns out it struck a bit of a chord with fellow fans. Renzo is the chair of the Fine Arts Department and an instructor at Manhattan‘s prestigious Xavier High School. He’s also a comic book illustrator and designer. Wanna know more? You do. Here’s his Facebook page, so go check him out. Great pieces, Renzo! Thanks for sharing them with us.